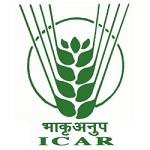 ICAR Exam 2019 Application Form Mode: Candidates can fill their application form through the online portal only. There is no provision to fill the form in offline mode. The online application form for AIEEA-UG, AIEEA-PG starts from the First week of the month of April 2019. The hard copy of the online application should be submitted or sent by the last week of the month April 2019. ICAR AIEEA 2019 Application Form Correction: Candidates need to enter all the details in the ICAR AIEEA 2019 Application Form correctly because once the Application Form is submitted, the candidates will not have an option to re-correct the details. ICAR AIEEA 2019 Documents Required: Candidate need to upload their recent scanned coloured passport size photograph with their name and date mentioned in it. Candidates should also take the scan of their thumb impression (for male candidates, left-hand thumb impression required and for female candidates, right-hand thumb impression required) to upload while filling the Application Form. ICAR AIEEA 2019 Registration Details: For Registration, candidates have to fill the following details such as the candidate's name, valid email address, password, mobile number etc. Now, select the course, i.e. “AIEEA UG 2019, AIEEA PG 2019 & AICE-JRF/SRF(PGS) 2019”. After filling all the details, click on the “Save & Proceed” button. A confirmation page will appear to re-check your details before proceeding further. Click on 'Edit' button if any changes are required in the given details. Click on "Save & Proceed" button to proceed further. User ID and Password will be displayed. Click "OK", Student Dashboard will appear. Complete the remaining Registration process i.e. Fill the Address details, Centre Choice, and Educational qualifications. After filling in the details of the Complete Page click on "Save & Next" Button. ICAR AIEEA 2019 Application Form: Once the registration is done, candidates need to fill the ICAR AIEEA 2019 Application Form and enter the required details such as educational as well as personal information. ICAR AIEEA 2019 Exam Centre Selection: Now candidates need to select the exam centres which is convenient for them so that they can easily visit the exam centre. Upload your recent coloured photograph with name & date, signature, thumb impression (his left/ her right hand), Father’s/Mother’s/guardian's signature in a prescribed format. Check your Image whether it’s in the correct format & sizes. After successfully uploading the Images, click on 'Return' to go back to the dashboard and proceed with the payment section. ICAR AIEEA 2019 Online Application Fee: Candidates can pay the Application Form Fee via online using Credit Card/Debit Card/Net Banking by using the payment gateway of NEFT/Canara bank. ICAR AIEEA 2019 Offline Application Fee: Candidates will also have an option to pay the Application Form Fee via offline mode. Candidates should make the payment through a bank challan of State Bank of Bikaner and Jaipur. After submitting all the details, click on Pay participation fee button to complete the payment for the application form. Select the payment option and fill the payment details. You can choose whether you want to pay from the credit card or debit card. Last but not least, take extra printouts of the completely filled application form for further references.